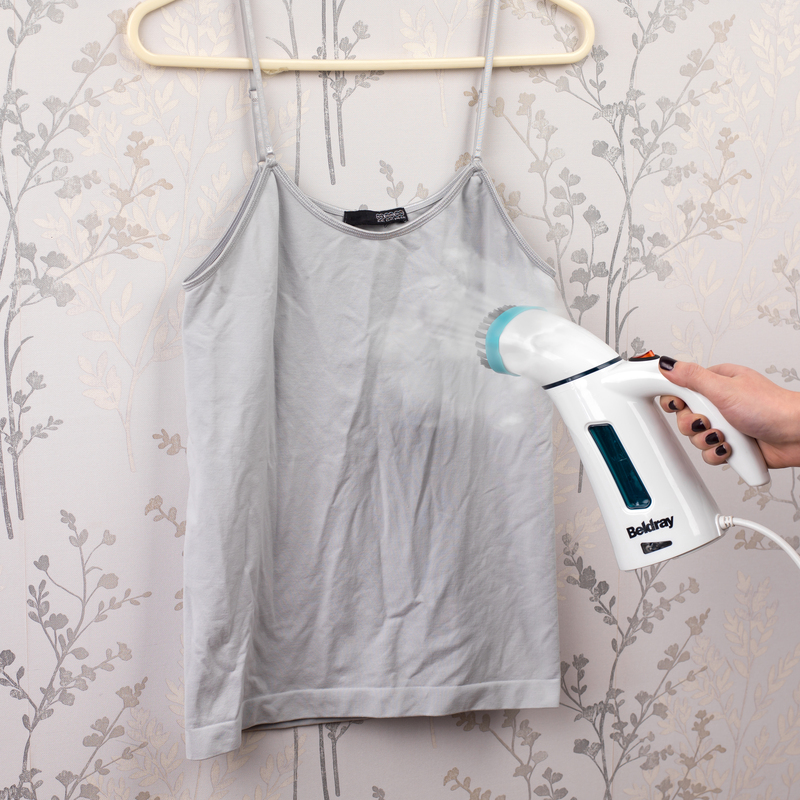 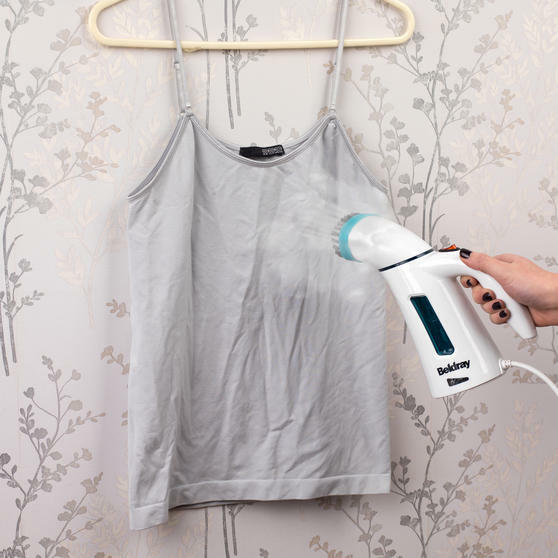 Make wrinkled clothing a thing of the past with this powerful handheld garment steamer from Beldray. 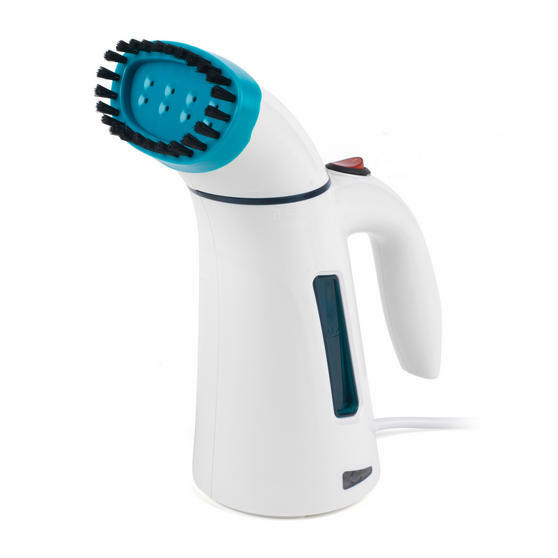 Ready to use in under two minutes, the lightweight 600 W device features continuous steaming capability and has a detachable fabric brush that ensures maximum steam penetration. It boasts a simple, ergonomic and user-friendly design and is finished with funky turquoise highlights. 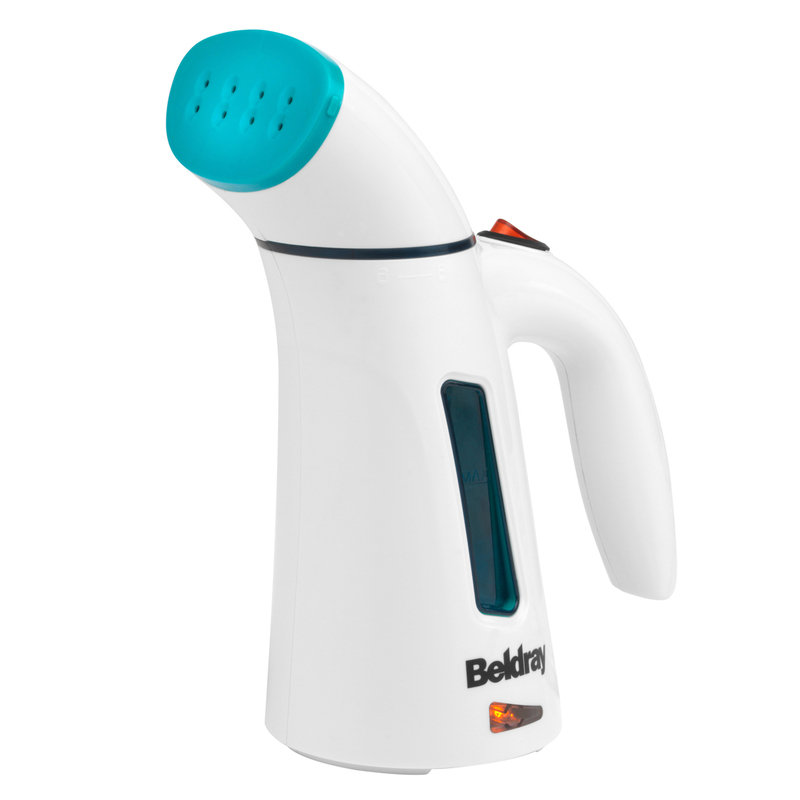 A convenient measuring jug is also provided to help you refill the 100 ml water tank with ease, even when in a rush. 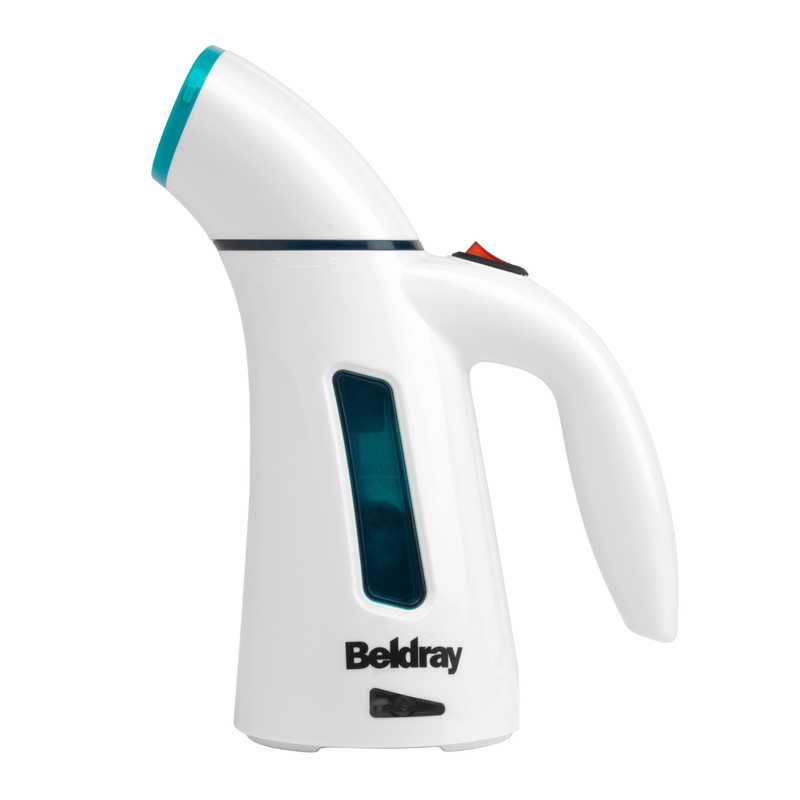 This handheld, 600 W garment steamer from Beldray is the perfect solution for removing unsightly creases from clothing in a flash. 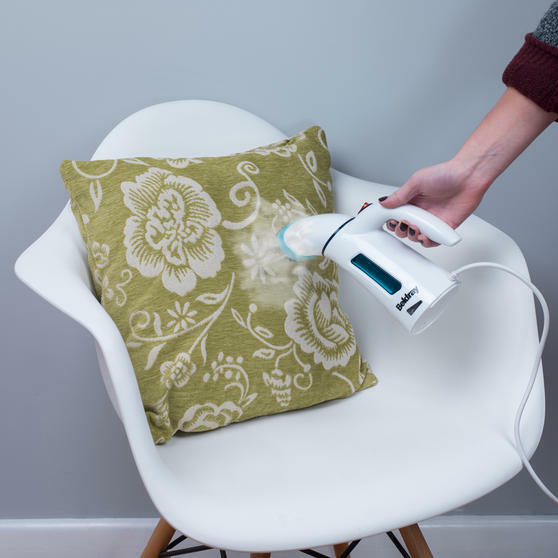 Ideal for when in a hurry, the innovative device features an easy-fill 100 ml water tank and is ready to go in just two minutes. 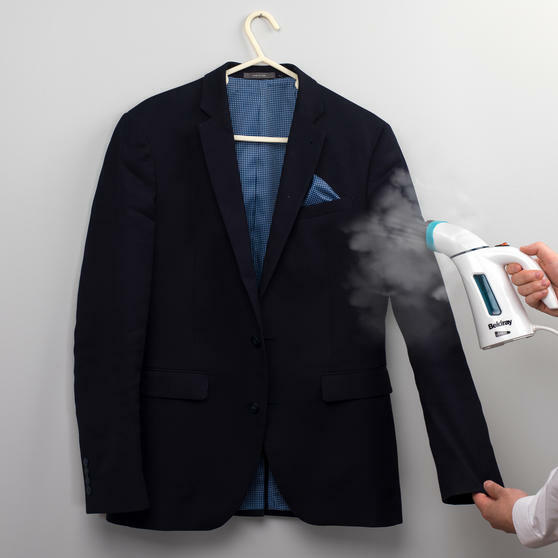 The steamer is supplied with a handy fabric brush that helps open up the weave of the fabric to deliver consistently great results. Compact and lightweight, this ergonomically designed steaming unit is equipped with a 2 metre power cable for easy manoeuvring. 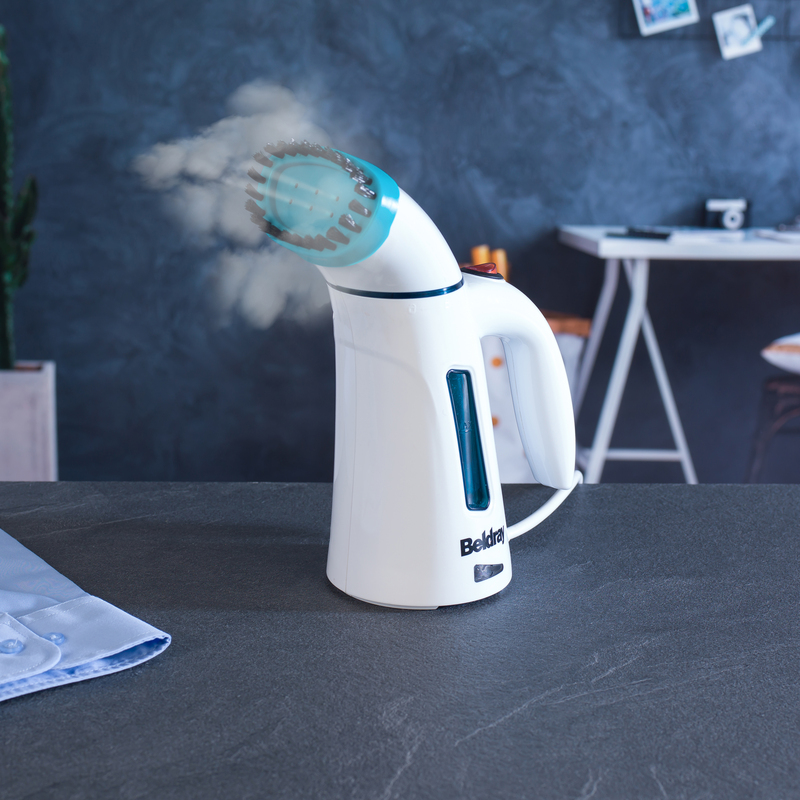 Fitted with a simple on/off switch, this powerful appliance is capable of delivering continuous steam for up to 7 minutes at a time.